In the early days of July 1923, a heroic and blasphemous storm blew across the Carso plain and down into the Po river valley. Its daring speed and electrified energy created an atmosphere that transfixed those who scrambled for the safety of porticoes, sensing that this storm would put to a test all that had survived such storms in the past. Indeed, by the time it reached the flag-ringed buildings of Milan’s Piazza San Sepolcro the conflagration seemed to laugh at the memory of the structures that fell in its wake. And in that great and hallowed piazza, Giuseppe Prezzolini cowered away from the window, intent to finish the work that taxed his overwrought senses. Prezzolini, the fine journalist and literary critic, was deep in rumination about perspective. How, he wondered, could those who sought to revolutionize the world champion something as amorphous and changing as perspective? How could revolt, of all things, proceed without the order and precision of truth and objectivity? How could the pathetic moans of an amateurish whore be confused with an ecstatic symphony of pleasure; or worse, how could the exalted battle cries of the world’s new masters be merely the cacophonous baying of a frightened herd of sheep? With this problem in mind, he tapped out his work, “Fascism and Futurism,” and thereby gave his readers a new perspective on the storm blowing through his proud and sanctified abode. From Prezzolini’s perspective, the storm was violent and uncontrollable. It raged without memory with the instruments of war: grenades, mortars, and bombs seemed to explode in response to the piercing thrusts of rifle-bound bayonets, lashing wildly at the orderly and sensible piazza below. With every blow he shrank deeper into the comfort of his writing chair. Soon, however, a dreadful thought occurred to him, and he rushed to the window. Relieved and gratified, he smiled a knowing smile when he saw that the tattered symbols of reason, truth, and morality were still on guard against the vile anarchic forces besieging them. From Prezzolini’s perspective, reason, truth, and morality were synonymous with the successful Revolution that had climaxed nine months earlier, bringing humanity one step closer to the perfection of liberty – a political and mystical right of men properly bound by duty and responsibility to the State. Of course, much had happened in the meantime, and the soon-to-dissipate storm outside his window would be just as soon forgotten. As he remembered, Fascism and Futurism once had much in common. Especially in the days following the Great War, when Marinetti’s men led the revolutionary syndicalists, arditi, and critical artists into the fascist movement – back then they even called themselves “ardito-futuristi,” each with his own love of danger, violence, and reawakened instincts of the man of war. In they came, he remembered, crowding into the Industrial and Commercial Hall just outside his door. They were drunk on Sorel, proclaiming conflict a “permanent necessity” in the fight against a passive and flaccid existence. The failure of social revolution, one of them said, especially in the wake of industrialization and the creation of the urbanized mass man, was due to cowardice; the syndicalists just failed to act – and were ultimately betrayed by the Movement and Party crazed socialists. As such, they would move against the State in the squadristi bands that almost became the ruin of The Revolution. Disdainful of the police, they were illegal, spontaneous, often haphazard, and arbitrary – hardly the stuff that goes into the establishment and defense of law and order! So, this perpetually violent man in revolt, freed from moral and historical constraints and Statist duties and responsibilities, was to become the new “Futurist man:” a man, as Marinetti said, that is not human (for without the essential elements of the human – rationality, morality, and memory – all perfectly suited to justify slavish adherence to being-bourgeois – then one is no longer human, but something else – something monstrous, something rapacious, something joyous). Marinetti said that the bourgeois State corrodes vital energy, that it feeds upon humanized herd-animals with deadened wills yoked to universalized assumptions of natural goodness and happiness. But Prezzolini would ask him today as he did then, what good could this Futurist man bring to The Revolt? He is be too reckless, too free, and too dangerous to be of any use to men trying to build a State. Squadrismo! Yes, he remembered, that’s what it was about: embodied radicalism, joyful violence, and the destruction of the forces of order that so perfectly connected mind, body, and State. Ruefully, he shook his head, eager to forget the ravages of such unchecked, unscripted, and useless virility. The Futurists’ virility – the cult of speed, the contempt for the masses, and the antipathy toward bureaucracy – had certainly infected the early days of the Fascist Revolution. But fighting to become-other, to move beyond duties and responsibilities while embracing the flux and chaosmos of the man in revolt, this is a far cry from fighting for the honor and glory of the State. In the former the heroic man will die alone, but in the other – in the fight that we men of the State promise and demand – the heroic man never dies. Instead he is made grander and more meaningful than he ever could have been on his own. But then, in the summer of 1921, it was the moment of truth for Prezzolini’s Revolt. Would it follow the disdainful revolutionary violence of the Futurists and arditi into an unknowable future? Or would it turn toward the bourgeois shopkeepers and landowners who sought a stable and prosperous State built on the foundations of a glorious national past? Would it be swept up in the unbridled action of the men in revolt, or would it become The Revolution? Would it maintain its core as a pack of elite and daring fighting men – those who dared, in fact, to cast off all bourgeois duties and responsibilities, to “cut all roots and understand nothing but the delight of danger and quotidian heroism?” Or would it embrace its historical responsibility and create something lasting, something immortal, like a Party and State? Indeed it would, and did – disposing of both the Futurists and ardito-squadristi alike in several purging acts of political rationality – and set itself up as the apotheosis of “hierarchy, tradition, and authority.” But as the storm blew, and the rotary engines intoxicated with their own speed and sound blasted at the security of the paving stones below his window, Prezzolini felt uneasy, as if something violent, cruel, and beyond the strictures of justice was seeping through the cracks in his sanctified workspace. And so, let the glad arsonists with charred fingers come! Here they are! Here they are! Go ahead! Set fire to the shelves of the libraries! Turn aside the course of the canals to flood the museums! . . . Seize your pickaxes, axes, and hammers, and tear down, pitilessly tear down the venerable cities! . . . You raise objections? Stop! Stop! We know them. We’ve understood! The refined and mendacious mind tells us that we are the summation and continuation of our ancestors – maybe! Suppose it so! But what difference does it make? We don’t want to listen! Thank God, he murmured. Thank God! Thank God we had the decency, the sensibility, and the duty to distance our glorious Party and State from these lunatics. Perspective had made Prezzolini wise, for he knew that revolution had no future. The future, as history had already shown, is with the State. So be it if Fascism had to become a counter-reformation that betrayed the revolutionary energies and critical vitalism of its founding members: the State and nothing but the State, as Mussolini said – a “spiritual and moral fact!” We will properly manage the social domain, he thought defiantly. We will bring continuity and regularity to all that is in flux. We will make sedentary all that flows freely. We will make homogenous all that is different. We will bring law and order, rationality and peace! If the people are not up to the task, if they chafe at the imposition of their rulers’ and bosses’ sovereignty, if they feel no allegiance to their duties and responsibilities to the State, then . . . let them go and play with Marinetti! Does he not understand? We are the State, we are law, and we are order, sanctified by God and international treaty! What do his Futurists wish to be? Outside! Beyond the State! Don’t they know? There is no outside – we are “the Logos, the philosopher-king, the transcendence of the Idea, the interiority of the concept, the republic of minds, the tribunal of reason, the bureaucrats of thought, man as legislator and subject, . . . the interiorized image of a world order!” When you leave that, dear Marinetti – dear “recalcitrant traitor of the Idea,” where do you go? To war, was Marinetti’s answer. Only war, he said, can create the conditions and assemblages conducive to revolution. And when you are a man alone – a man in a pack, perhaps – and find yourself without a war, well, what then? You create the necessary conditions and assemblages of your own life. You “murder the moonlight,” you “destroy time and space,” living instead in “eternal and omnipresent velocity” – the velocity of courage and aggression, of “words and thought-in-freedom,” destroying any and all stagnant prudence, “utilitarianism, opportunistic cowardice” and reactive ressentiment that you used to think justified your élan vital. You create mayhem – you live without tradition, without dogma, incessantly inventing new means with which to astonish your bourgeois instincts, nurtured instead by the “new sensibility” that will decompose all that you know about beauty, greatness, religiousness, solemnity, and cultivation. Our life should always be a velocity carrying other velocities: mental velocity + velocity of the body + velocity of the vehicle that carries the body + velocity of the element that carries the vehicle. We should dislocate thought from its mental road and put it in a material one. Velocity destroys the laws of gravity, renders the values of time and space subjective . . . Kilometers and hours are not universally the same; for the speeding man they vary in length and duration . . . Increasing lightness. You’ve triumphed over the law which forces man to crawl . . . Gasoline is divine . . . Speed in a straight line is massive, crude, unthinking. Speed with and after a curve is velocity that has become agile, acquired consciousness. Thought and existence in the production of time as flows and affects (+ and + and + and + . . . until life bursts forth from any attempts to negate and strangle its potential), extricating time itself from its rightful and natural milieu as a universal constraint of matter. But everyone knows not only that this is madness, but also that is just the beginning. Look how Marinetti dances with the sirens of our doom – with the very forces that will bring the logic of historical progress to a halt – when he advises us to “exalt the aggressive will of man, without remembrance, and to emphasize yet again the ridiculous vacuity of nostalgic memory, of shortsighted history, and of the past that is dead.” And his friend Boccioni says that Futurism is here to destroy the past so as to create a “void populated by primitives and barbarians” – all with an anti-artistic sensibility connected and driven only by rhythmic movement, planes, and lines – without the sublimity of ideal forms and archetypes. But what can Boccioni possibly mean with this ridiculous suggestion? Is he trying to offer a basis of re-differentiation for the un-differentiated man? But haven’t we moved beyond such quaint notions of a return to primitivism? Just then Prezzolini was alarmed by a loud crash amongst the din of the storm. It sounded like the screech of rubber tires spinning out of control, hurling machine and life aloft like a nomadic arrow in flight – au milieu, fixed by neither the archer who shot it nor the target at which it was aimed – dancing its way to the horizon in a fiery rainbow of exploding and shrapnelizing glass and metal, the particles of each in conjunction with the other, as well as any body upon which they impacted. To his horror the detonation was followed by a chorus of voices explaining the storm to a pair of young punks, “Life is always right,” it said, “The artificial paradises with which you hope to assassinate it are worthless.” Woe to any man who goes outside in times like this, he thought; better to die now than continue this risk. And with that he cursed his ears for having been party to the impudence of these foolish men, ever more fearful that they could link his dear and tender soul to what they had overheard. He shrank evermore, and decided that a drink might calm his nerves. And anyway, he realized as he savored his cup of hot milk, isn’t Boccioni a Futurist? Of all people he should know better. And what does a “barbarian void” offer that the State does not? Carlo Carrà gave us a sense of what the barbarian void seeks in distancing itself from the State: creation – to understand life in terms far removed from the purely representational form of rational bureaucratic thought that he called “illustrationism.” Illustrationism involves a tracing of life’s potentials, always governed by traditions, conventions, and the all-seeing Ideal.
. . . Words unmoored, ideas unbound, free of the enslavement of instinctual energy and techniques of living to forms and ideas that castrate as much as they create. Outside of work we find invention. Outside of schools we find free thought. Outside of del giorno concepts, theories, estimations, and potentials — beyond the straight and narrow path that they delineate: an echo of the refrain of the walking dead! . . . the funereal normality of thinking and being in the service of forces that demand so little of us: the ease of believing and submitting to banality and commonality – we seek and demand of ourselves a life taken out of bounds. Painting smells, he had to laugh at that one. That would be like legislating or commanding revolution. He was shocked at himself, as for one horrifying moment he found himself talking just like them! But his uncertainty brought his mind back to its work. How do these barbarian Futurists plan to create anything, especially in light of Marinetti’s war against grammar and linguistic convention, he thought. “Words-in-freedom,” Marinetti says, will undermine and disrupt the codifying principles of language – principles that shape consciousness and the functional interplay with reality. He asks us to abandon the use of “I,” which anthropomorphizes a particularly bourgeois understanding of the subject, positing instead a “return to the molecular” and an understanding of the splinters and shards of our subjectivity that hold the keys to our revolutionary potentials. In this light, Prezzolini quickly realized that what the Futurists were doing was dangerous and a threat to the victory of the Fascist State. The human being, it is true, can be herded into vast conglomerates and easily convinced of its universal values and properties. But just because man can so readily live in a herd, is this its optimal potential? This is the question that Prezzolini now discovered at the heart of the Futurist manifestos. With their attacks on language as an automation machine commanding the interconnection and coordination of beings for territorializing despotic tasks that serve only the most slavish of the herd, Futurists were attempting to short circuit the ties of the social contract. They understood that the conscious organism must be compatible with the social system in which it exists. Shifts in the modalities of social life – like barbarian voids or packs – must entail a concomitant shift in consciousness and functional interplay with existence. Attention, cognitive processing, decision-making, and expression all undergo constant mutation in order to maintain their association with sense-making apparatuses of the particular collective modality. Understood even in this simplified way, one sees very clearly the implications of the State presenting itself as “the rational and reasonable organization of a community,” with the “interior or moral spirit of the people” as the organizing principle of a “harmonious universal absolute spirit.” The State justly becomes the nexus of correct-thinking, pure reason, and personal mastery. If those links are broken, and sense no longer can be made (or made to be made), then the duties, debts, and responsibilities yoking man to a sociality that makes a mockery of his instincts make no sense. Mayhem! Our Father in heaven, Prezzolini stuttered as he began pacing the room. Suddenly the storm seemed to rage much louder. Our Father, he said again, if only those were marching boots I hear and not the dissonant hum of warplanes and failing power generators. His work now seemed to have the importance of a Papal Bull. This throwing the past into the sea so as to increase one’s agility in evading roadblocks – surely these roadblocks, these very barriers to chaos are the keys to our victory! – can only lead to ruin. But to destroy the very bases of order and right thinking in the present is even more egregious. Men of this type must be led – for their own good and for the good of The Revolt. Yes! They must be led, or be eliminated. Certainly this is clear when we read in Marinetti’s “War, the Only Hygiene of the World,” of his disappointment with the disarmament of revolutionary energy when it is handed over to the leaders of The Revolt, who, as he says, are “fatally interested in preserving the status quo, calming down violence, and opposing every desire for adventure, risk, and heroism.” But again, we must reproach Marinetti for failing to understand the importance of prudence, opportunism, and building a mass-based organization of great political and social potential. Fascism cannot accept the destructive program of Futurism, and instead it will have to restore the very values that clash with Futurism. Political discipline and hierarchy are also literary discipline and hierarchy. Words are rendered empty when political hierarchies are made pointless. 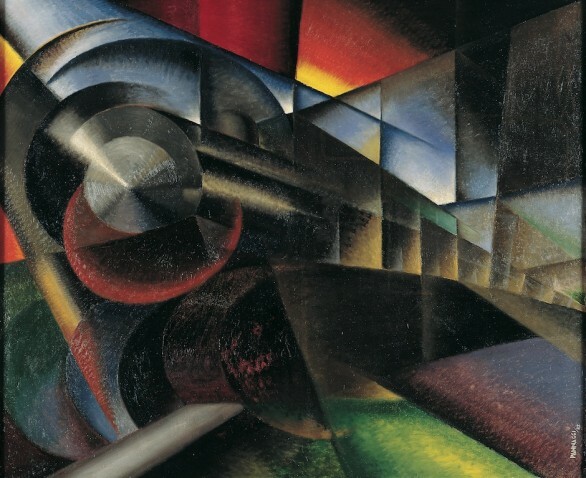 Fascism, if it truly wants to win its battle, has to consider Futurism as having already been absorbed for what it could provide as a stimulus, and has to repress it for whatever it may still possess that is revolutionary, anticlassical, and unruly. 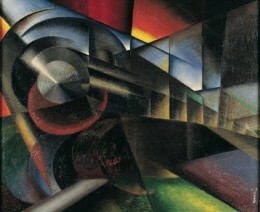 And so, while Marinetti and his merry band of Futurist revolutionaries waged a war without frontlines against the Parties, values, representations, and power of the bourgeois world – bringing a storm of uncontrollable aggression and dereliction to all of the hallowed halls that glorified the empire of the Last Man, Giuseppe Prezzolini finished his work, its last sentences littered with defenses of hierarchy and order, and “words in their proper place, obeying the rules, and respecting nature.” He then mailed it to the appropriate governmental commission appointed to reform education for their approval and enlightened council. Filippo Tommaso Marinetti, “Beyond Communism,” in Futurism: An Anthology, edited by Lawrence Rainey, Christine Poggi, and Laura Wittman (New Haven: Yale University Press, 2009), 260. Filippo Tommaso Marinetti, “Let’s Murder the Moonlight,” in Futurism: An Anthology, edited by Lawrence Rainey, Christine Poggi, and Laura Wittman (New Haven: Yale University Press, 2009), 55. Emilio Gentile, The Struggle for Modernity: Nationalism, Futurism, and Fascism (Westport, CT: Praeger, 2003), 21. Adrian Lyttleton, The Seizure of Power: Fascism in Italy, 1919–1929, Revised Edition (London: Routledge, 2004), 46–49. Filippo Tommaso Marinetti, “We Abjure our Symbolist Masters,” in Futurism: An Anthology, edited by Lawrence Rainey, Christine Poggi, and Laura Wittman (New Haven: Yale University Press, 2009), 93–95. Giuseppe Prezzolini, “Fascism and Futurism,” in Futurism: An Anthology, edited by Lawrence Rainey, Christine Poggi, and Laura Wittman (New Haven: Yale University Press, 2009), 276. Filippo Tommaso Marinetti, “The Founding and Manifesto of Futurism,” in Futurism: An Anthology, edited by Lawrence Rainey, Christine Poggi, and Laura Wittman (New Haven: Yale University Press, 2009), 53. Benito Mussolini, The Political and Social Doctrine of Fascism, translated by Jane Soames (New York: The Gordon Press, 1976), 21. James C. Scott, Seeing Like a State (New Haven: Yale University Press, 1998), 2. Robert H. Wiebe, The Search for Order, 1870–1920 (New York: Hill and Wang, 1967), 154. Gilles Deleuze and Félix Guattari, On the Line, translated by John Johnston (New York: Semiotext(e), 1983), 56. Filippo Tommaso Marinetti, “The Founding and Manifesto of Futurism,” in Futurism: An Anthology, edited by Lawrence Rainey, Christine Poggi, and Laura Wittman (New Haven: Yale University Press, 2009), 51. Filippo Tommaso Marinetti, “The Variety Theater,” in Futurism: An Anthology, edited by Lawrence Rainey, Christine Poggi, and Laura Wittman (New Haven: Yale University Press, 2009), 159–61. Maurizio Lazzarato, The Making of the Indebted Man: An Essay on the Neoliberal Condition, translated by Joshua David Jordan (Los Angeles: Semiotext(e), 2012), 40. Friedrich Nietzsche, On the Genealogy of Morality, translated by Carol Dithe, edited by Keith Ansell-Pearson (Cambridge: Cambridge University Press, 2007), 41. Filippo Tommaso Marinetti, “The New Religion-Morality of Speed,” in Futurism: An Anthology, edited by Lawrence Rainey, Christine Poggi, and Laura Wittman (New Haven: Yale University Press, 2009), 224–29. Franco “Bifo” Berardi, The Uprising: On Poetry and Finance (Los Angeles: Semiotext(e), 2012), 90–92. Filippo Tommaso Marinetti, Critical Writings (New Edition), translated by Doug Thompson, edited by Günter Berghaus (New York: Farrar, Straus, and Giroux, 2006), 252. Umberto Boccioni, “Futurist Sculpture,” in Futurism: An Anthology, edited by Lawrence Rainey, Christine Poggi, and Laura Wittman (New Haven: Yale University Press, 2009), 118. Filippo Tommaso Marinetti, “Tactilism,” in Futurism: An Anthology, edited by Lawrence Rainey, Christine Poggi, and Laura Wittman (New Haven: Yale University Press, 2009), 266. Carlo Carrà, “Warpainting (Extracts),” in Futurist Manifestos, edited by Umbro Apollonio (Boston: MFA Publications, 2001), 202–5. Filippo Tommaso Marinetti, “Words-in-Freedom,” in Futurism: An Anthology, edited by Lawrence Rainey, Christine Poggi, and Laura Wittman (New Haven: Yale University Press, 2009), 147. Filippo Tommaso Marinetti, “Technical Manifesto of Futurist Literature,” in Futurism: An Anthology, edited by Lawrence Rainey, Christine Poggi, and Laura Wittman (New Haven: Yale University Press, 2009), 119–20. Gilles Deleuze and Félix Guattari, Nomadology: The War Machine, translated by Brian Massumi (New York: Semiotext(e), 1986), 42–43. Filippo Tommaso Marinetti, “War, the Only Hygiene of the World,” in Futurism: An Anthology, edited by Lawrence Rainey, Christine Poggi, and Laura Wittman (New Haven: Yale University Press, 2009), 85. Filippo Tommaso Marinetti, “Multiplied Man and the Reign of the Machine,” in Futurism: An Anthology, edited by Lawrence Rainey, Christine Poggi, and Laura Wittman (New Haven: Yale University Press, 2009), 89. Published: March 27, 2014 | This entry was posted in North American New Right and tagged articles, Benito Mussolini, fascism, Filippo Marinetti, futurism, Giuseppe Prezzolini, Italy, Mark Dyal, North American New Right, originals, vitalism. Both comments and trackbacks are currently closed. It is necessary to reconcile Evola and Marinetti, and do away with the notion of ‘modernity’ produced by Enlightenment ideology. The Ancients must be associated not with the Moderns but with the Futurists. It’s almost like a koan, but might help us untangle a future that isn’t bourgeois and boring. Finally, I have been waiting a long time for more articles from this author. In my opinion, Italian fascism is the most interesting of the Nationalist movements and this seems to be the only good writer that is talking about it. I was just thinking yesterday, “What happened to Mark Dyal?” It’s good to see you back. An striking description of the storms that rage in my heart! And that probably rage in the hearts of many revolutionary-reactionary people. “‘Zwei Seelen wohnen, ach! in meiner Brust'”. For example, many White Nationalists have adopted Satanism as an expression of their will to destroy the system, of their will to ‘transgressiveness’. But how to incorporate this in a world view that centers around quality, discrimination and hierarchy? Are dynamic hierarchies possible? Are changing standards not a contradictio in terminis? And how to deal with biological, genetic differences?